© Karsten Pawlik Lumolabs noise test chart for Nikon D700 at 2800°K and ISO 100. © Karsten Pawlik Lumolabs noise test chart for Nikon D700 at 2800°K and ISO 100. Underexposed 5 stops and exposure pushed +5EV before exporting the JPG. Theoretically, this corresponds to ISO 3,200. © Karsten Pawlik Lumolabs noise test chart for Nikon D700 at 2800°K and ISO 100. Underexposed 10 stops and exposure pushed +10EV before exporting the JPG. Theoretically, this corresponds to ISO 102,400. © Karsten Pawlik Lumolabs noise test chart for Nikon D700 at 2800°K and ISO 200. © Karsten Pawlik Lumolabs noise test chart for Nikon D700 at 2800°K and ISO 200. Underexposed 5 stops and exposure pushed +5EV before exporting the JPG. Theoretically, this corresponds to ISO 6,400. © Karsten Pawlik Lumolabs noise test chart for Nikon D700 at 2800°K and ISO 200. Underexposed 10 stops and exposure pushed +10EV before exporting the JPG. Theoretically, this corresponds to ISO 204,800. © Karsten Pawlik Lumolabs noise test chart for Nikon D700 at 2800°K and ISO 1,600. 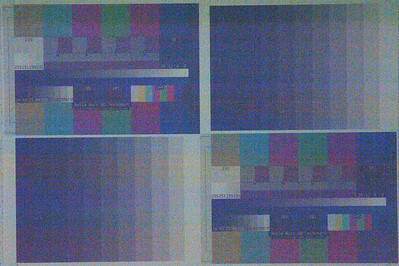 © Karsten Pawlik Lumolabs noise test chart for Nikon D700 at 2800°K and ISO 12,800.